00:00:12.13	in the Institute of Child Health and Human Development. 00:00:21.23	that are revolutionizing biology and medicine. 00:00:40.08	as well as whole organisms. 00:01:05.25	of a lens magnifying an object. 00:01:20.03	but in a monochromatic fashion. 00:01:32.17	of these individual cells. 00:01:44.22	the constituents inside these cells. 00:01:50.26	is the use of light. 00:01:54.04	In particular, light from living organisms. 00:02:01.09	is what is referred to as bioluminescence. 00:02:41.01	to visualize living cells and organisms of choice. 00:02:45.22	But let me give you a little background about this bioluminescence. 00:03:05.19	to walk in the woods at night. 00:03:23.24	without be detected by the enemy. 00:03:28.12	Bioluminescence has even saved people. 00:03:37.23	in response to agitated water. 00:04:05.22	from the dinoflagellates that led him to his ship. 00:04:47.15	that is absorbed by the green fluorescent protein. 00:04:56.09	gives off it's own light, a green light. 00:05:04.07	instead it's a fluorescent protein. 00:05:18.24	in the fluorophore in response to the emitting light. 00:05:50.08	and therefore see the signal of the GFP. 00:06:12.16	that's part of a fluorophore. 00:06:28.04	and causes them to jump to a different orbital. 00:06:50.06	in this case the green fluorescent light. 00:07:20.02	into an exogenous organism. 00:07:33.01	and you get a fluorescent mouse as shown here. 00:08:01.06	and Roger Tsien, for the development of the GFP. 00:08:35.16	within your cell or organism of interest. 00:08:46.09	different varieties of fluorescent proteins. 00:09:02.06	from an on to an off state. 00:09:48.29	to label these different neurons. 00:09:59.09	in the complex, dense network of the brain. 00:10:14.07	the behavior of these cells. 00:10:33.04	drive the differentiation process of these stem cells. 00:10:57.06	and the technologies that have arised from them. 00:11:03.19	system characteristic of all eukaryotic cells. 00:11:17.16	for allowing the cells to secrete various constituents. 00:11:41.03	really just snapshots at different timepoints. 00:11:44.14	So there were many questions that were very unclear. 00:11:54.20	foundation for our thinking about these organelles. 00:12:03.03	that targets to the endoplasmic reticulum. 00:12:16.05	that is devoted to the secretory system. 00:12:27.27	by initially being synthesized in the endoplasmic reticulum. 00:12:50.08	with the surrounding ER. 00:12:59.29	when cells undergo mitosis. 00:13:09.16	in order to repopulate themselves in time. 00:13:43.15	which itself is maintained as a continuous system. 00:13:56.27	what you can see is that the nuclear envelope reforms. 00:14:16.27	or the nuclear envelope. 00:14:27.03	throughout all stages of the cell cycle. 00:14:43.29	these two organelles become one and the same. 00:14:48.06	Okay, well what about secretion? 00:14:55.17	the trafficking intermediates that define the secretory pathway. 00:15:07.02	that define the secretory pathway. 00:15:12.11	which sits in the juxtanuclear area of the cell. 00:15:23.16	the steps of this pathway. 00:15:32.03	one of many proteins that move through the secretory pathway. 00:15:48.04	at a restrictive temperature of 40 degrees. 00:15:58.01	the molecule can then move through the secretory pathway. 00:16:11.29	to watch them pass through the secretory pathway. 00:16:14.24	And that's what you're seeing right here in this movie. 00:16:32.06	there is enormous information that can be obtained. 00:16:39.18	how the molecules are behaving as a large population. 00:16:46.23	20 million VSVG molecules. 00:17:08.14	we're looking at at any particular time. 00:17:34.26	and then ultimately these molecules are degraded. 00:17:48.06	for these molecules to move through the secretory pathway. 00:18:02.23	the particular perturbant is affecting the system. 00:18:19.14	or disease conditions that impact this system. 00:18:37.02	that are mediating this pathway. 00:18:58.15	which is situated in this juxtanuclear region. 00:19:12.26	of the endoplasmic reticulum. 00:19:32.17	But how does that happen? 00:19:47.05	where they can fuse with the Golgi apparatus. 00:20:07.23	they undergo these shape changes. 00:20:21.24	carbohydrate modifications, that's the function of the Golgi. 00:20:34.01	in order to reach the plasma membrane. 00:20:50.10	where they can under a fusion reaction. 00:20:55.24	but in the opposite direction along microtubules. 00:21:29.12	because of the dense meshwork of the cytoplasm. 00:21:45.08	so that we can track them over time. 00:21:53.27	that is a key component of the secretory pathway. 00:22:01.17	that pass through the secretory pathway. 00:22:18.19	they can do their appropriate function. 00:22:33.19	in response to various perturbants. 00:22:51.23	to visualize these molecules in the living cell. 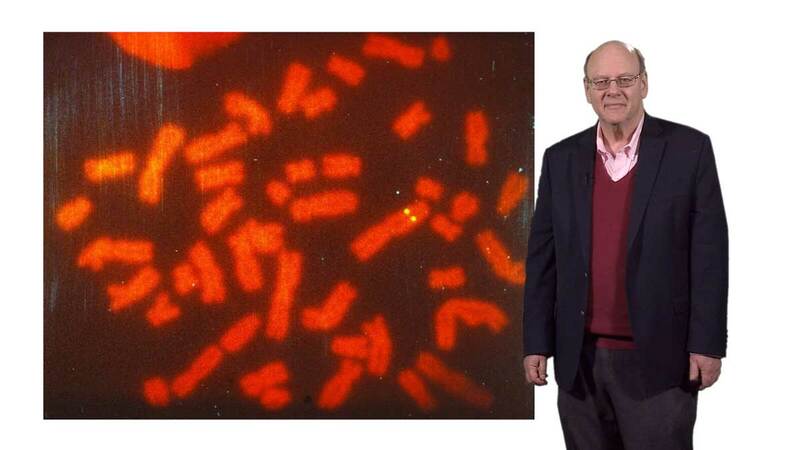 00:23:05.15	at every cell cycle stage during mitosis. 00:23:44.08	to visualize this dynamic process. 00:24:00.20	some deep issues within that system. 00:24:16.03	looking at other organelles like the nucleus and the mitochondria. 00:24:21.27	here's a video of the behavior of actin at the leading edge. 00:24:27.12	You can see this dynamic motion here. 00:24:37.16	have provided to scientists around the world. 00:24:47.23	in not only biology and medicine. 00:24:56.07	of this exciting new technology. 00:25:06.23	to look at super-resolution imaging. 00:00:04.23	Breakthroughs in Intracellular Fluorescent Imaging. 00:00:24.01	as well as whole organisms. 00:00:28.19	include photobleaching and photoactivation. 00:01:10.24	to other final destinations with cells. 00:01:31.10	behave as steady-state systems. 00:02:04.01	is how they're integrated in the bilayer. 00:02:09.21	within the bilayer through Brownian motion? 00:02:15.20	through, potentially, binding to cytoskeletal components? 00:02:24.09	or confined in some fashion through other molecular players? 00:02:56.04	that's expressing a fluorscent protein. 00:03:01.16	what one can do is photobleach those molecules. 00:03:11.25	it can no longer emit fluorescence. 00:03:32.11	are no longer visible. 00:04:02.14	is recovered and is bright. 00:04:37.19	in the region of interest. 00:04:52.23	and sites within the cell. 00:05:01.06	that reside within organelles. 00:05:11.17	within the secretory pathway. 00:05:26.16	which we're photobleaching across the center of. 00:05:38.05	into the photobleached region. 00:05:59.13	for how proteins are retained within the Golgi appartus. 00:06:32.02	which is characteristic of secretory cargo molecules. 00:06:39.06	within the Golgi apparatus. 00:06:43.01	and its associated nuclear envelope? 00:06:55.12	just as the molecules are within the Golgi apparatus. 00:07:04.06	you can see very quick recovery. 00:07:26.22	within the nuclear envelope. 00:07:28.24	Most of these proteins are not freely diffusing. 00:07:53.08	disassembly and reassembly during mitosis. 00:08:14.09	that are involved in signal transduction processes. 00:08:27.02	has been a focus of many, many different studies. 00:08:41.03	at the plasma membrane. 00:08:55.09	and about 2 microns in width. 00:09:07.23	on a very rapid timeframe. 00:09:29.21	and others are just lipid-anchored. 00:09:49.24	into the membrane bilayer. 00:10:10.26	in a directed fashion, along the bilayer. 00:10:29.29	of proteins within the cell. 00:10:36.10	is the distribution of a protein called GPI-GFP. 00:10:48.24	through a GPI anchor. 00:11:03.13	which we know is localized in the Golgi apparatus. 00:11:19.04	of populations of the molecule. 00:11:25.05	and the vastly larger plasma membrane pool. 00:11:36.05	of GFP-GPI exchanging with each other. 00:11:47.02	the Golgi and plasma membrane? 00:11:52.10	through intracellular trafficking pathways? 00:12:09.07	as shown right here in this movie sequence. 00:12:23.19	can recover over time. 00:12:43.21	into the Golgi apparatus. 00:12:55.12	that blocks new protein synthesis. 00:13:08.06	from plasma membrane to Golgi apparatus. 00:13:14.20	by quantifying the rate at which the exchange occurs. 00:13:18.19	And that's shown right here in this little graph. 00:14:05.14	to and from the Golgi apparatus. 00:14:14.09	and quantifying them in a rigorous way. 00:14:45.17	in and out of the Golgi apparatus. 00:14:55.15	and then back into the Golgi again. 00:15:03.11	association with the Golgi is. 00:15:24.25	that operate within the Golgi. 00:15:38.22	are engaged in this membrane trafficking system. 00:16:05.05	over the course of a cell's lifetime. 00:16:25.13	and movement through the secretory pathway. 00:16:47.18	of molecules out of the ER. 00:17:02.18	populations of molecules within cells. 00:17:06.02	And this strategy is using photoactivation. 00:17:21.10	and that's illustrated in this little diagram right here. 00:17:29.17	and you can see - you don't see anything. 00:17:45.14	switch on and are now fluorescent. 00:17:58.20	within the cell and track them. 00:18:09.28	that behaves in this fashion. 00:18:17.15	of a type of photoactivation experiment. 00:18:39.24	in a moment of time as a result of photoactivation. 00:18:50.07	and the molecules were allowed to move through the secretory pathway. 00:19:11.03	represent switched on, highlighted molecules. 00:19:17.02	as part of the secretory system. 00:19:25.00	from this type of video is really amazing. 00:19:39.10	but you can characterize the kinetics of that process. 00:19:53.06	through the Golgi apparatus. 00:20:09.10	would progress out of this organelle over time. 00:20:49.16	that move to the plasma membrane. 00:20:55.07	is by the cisternae undergoing a gradual maturation. 00:21:11.13	being exported out of the Golgi over time. 00:21:24.24	within an individual Golgi of a cell. 00:21:34.09	and actually test this key prediction of the cisternal maturation model. 00:21:54.00	it showed an exponential release profile. 00:22:18.09	for being exported with time. 00:22:47.06	if this type of mechanism was operating? 00:22:51.21	And again, GFP imaging techniques are providing some clues. 00:23:12.16	that's retained within the Golgi apparatus. 00:23:32.25	in blue in this movie, are localized. 00:23:50.26	of how the Golgi apparatus might be functioning. 00:24:23.02	in vesicles that move to the plasma membrane. 00:24:48.00	out of the Golgi apparatus onto the plasma membrane. 00:25:12.28	are operating during secretory trafficking. 00:25:22.29	can be used to get new insights into dynamics of organelles. 00:25:27.23	And in this example, we're going to be looking at peroxisome biogenesis. 00:25:44.14	scattered throughout the cytoplasm. 00:25:50.00	that are being imaged. 00:25:56.21	Are they formed de novo? 00:26:00.22	playing an important role in their formation? 00:26:20.09	for the formation of these peroxisomes. 00:26:38.11	was tagged with photoactivable GFP (PAGFP). 00:26:51.16	by highlighting with photoactivation. 00:27:08.14	population of this molecule. 00:27:21.02	to this photoactivated pool. 00:27:43.19	and look at the fate of those molecules. 00:28:04.10	are derived from the endoplasmic reticulum. 00:28:43.02	a bona fide peroxisome over time. 00:29:05.23	from the endoplasmic reticulum. 00:29:24.07	it's only those molecules that are visible. 00:29:31.18	that is not photoactivated will not be visible. 00:30:00.14	of this population of molecules. 00:30:16.03	where its expressed as an orphan receptor subunit. 00:30:28.03	and then looked at the fate of this molecule over time. 00:30:33.03	there's no molecule left within the cell. 00:31:05.29	and destruction by the proteasome. 00:31:17.04	to probe the characteristics of that pathway. 00:31:25.09	in response to not being broken down. 00:31:38.24	inability of these molecules to be degraded within cells. 00:31:50.12	but to look at turnover of whole organelles. 00:31:58.07	show an example of this for autophagosomes. 00:32:04.01	in response to starvation. 00:32:12.03	in the cytoplasm in response to starvation. 00:32:22.16	that labels, specifically, autophagosomal membranes. 00:32:34.11	to lysosomes for destruction. 00:32:57.27	found within the lysosome. 00:33:05.25	of the autophagosome with lysosomes. 00:33:15.25	to fuse with lysosomes? 00:33:19.06	What is the lifetime of an autophagosome within the cell? 00:33:31.03	is tagged with a photoactivable form of GFP. 00:33:48.29	and then track how the autophagosomes disappear over time. 00:34:01.01	in a starved cell is only about 18 minutes. 00:34:13.28	at the same rate that these molecules are being degraded. 00:34:36.16	organellar lifetimes within cells as well. 00:35:00.17	are operating in a kinetic framework. 00:35:24.26	as we have looked at until now. 00:00:03.06	on Breakthroughs in Fluorescent Imaging. 00:00:13.04	using photoactivatable fluorescent proteins. 00:00:30.06	cannot allow you to look at. 00:00:31.22	Instead, you're looking at ensembles of proteins. 00:01:13.20	are well below 400 nm in size. 00:01:20.23	to image in this nanometric region. 00:01:34.13	is in the realm of super-resolution imaging. 00:01:47.24	which is about 2.5 nm in diameter. 00:02:16.09	of the single molecule of GFP. 00:02:39.12	are distributed within this blurry spot. 00:02:49.17	that make up the vast majority of molecular machines within cells. 00:03:18.05	when you look at it in x and y. 00:03:38.01	to determine the centroid of this Gaussian. 00:03:48.15	within that blurry spot. 00:04:07.25	when they are expressed in vitro. 00:04:24.12	moving on an actin filament. 00:04:39.09	that this motor takes in time. 00:04:51.13	in the way that I have told you. 00:05:00.08	in a dense population. 00:05:04.07	are distributed within cells. 00:05:06.25	They are densely packed within cells. 00:05:32.23	whether there's a single molecule or hundreds of molecules. 00:05:41.12	lost through this approach. 00:05:58.08	is the use of photoactivable fluorescent proteins. 00:06:07.11	switch on from a dark to a light state. 00:06:19.13	of a dense population of molecules. 00:06:27.01	called Photoactivated Localization Microscopy. 00:06:47.04	is switched on with very low light. 00:07:40.19	which just randomly flips on a subset of these molecules. 00:07:55.08	using the fitting algorithm that I mentioned. 00:08:27.00	within the fixed specimen. 00:08:36.02	for this type of super-resolution analysis. 00:08:55.13	that are distributed on the membranes of these lysosomes. 00:09:10.23	in that thin section. 00:09:19.26	within this thin section of lysosomes. 00:09:34.01	in order to do this type of experiment. 00:09:43.19	by these photoactivatable fluorescent proteins. 00:10:10.28	to only about 100 nm off the coverslip. 00:10:32.26	to precisely map the distribution of individual molecules. 00:10:39.29	that you can get using PALM super-resolution imaging. 00:10:50.01	that have been labeled with a photoconvertible protein, Kaede. 00:11:06.26	of these individual 50 nm beads. 00:11:18.19	that have been plated on a coverslip. 00:11:45.12	that are of interest in this plane right here. 00:12:09.26	that are found at the base of cells. 00:12:16.27	that allow cells to crawl. 00:12:41.05	that comprise this dense network of the ER. 00:13:07.09	using this super-resolution approach. 00:13:24.20	and imaged in that TIRF zone. 00:13:38.07	how molecules within those organelles distribute. 00:13:47.04	tagged with the photoconvertible protein tandem-dimer Eos. 00:14:21.29	to the distribution of the molecules. 00:14:24.22	And this is shown here for the mitochondria. 00:14:31.25	of the mitochondrial matrix protein within that. 00:14:58.15	to define the distribution of your protein. 00:15:08.27	that have been resolved using the PALM technology. 00:15:21.03	that have emerged over the last four years. 00:15:29.24	and which has been used in a number of different techniques. 00:15:50.10	give off a red signal. 00:15:58.25	and then back, from red to green. 00:16:13.23	using this super-resolution approach. 00:16:28.27	tagged to transferrin receptor. 00:16:49.14	or the PAGFP, which gives you the green signal. 00:17:05.07	that we believe are clathrin-coated pits. 00:17:21.00	within these clathrin-coated pits. 00:17:28.06	is the codistribution of these molecules in these coated pits. 00:17:52.09	and looking in TIRF. 00:18:09.27	over 3D within cells. 00:18:21.09	called interferometric PALM, or iPALM. 00:18:35.06	this illustrates the basic principle of iPALM. 00:18:53.26	that's giving off a photon. 00:19:09.15	into this three-way beam splitter. 00:19:50.12	and it gives remarkable 3D resolution. 00:20:10.14	using total internal reflection microscopy. 00:20:28.11	emitted by a molecule is positioned. 00:20:36.14	of VSVG protein on the plasma membrane. 00:20:47.14	that are localized on the plasma membrane. 00:20:59.02	from the coverslip the molecule is positioned. 00:21:07.17	where these molecules are distributed in z space. 00:21:24.15	the surface of the plasma membrane. 00:21:32.22	which in this case is less than 200 nm apart. 00:21:49.08	and membrane systems within cells. 00:21:52.01	So here's another example. 00:22:02.15	at the bottom of cells. 00:22:11.24	very close to the plasma membrane. 00:22:28.13	and color coded according to their z position. 00:22:40.03	have very different spatial organizations. 00:22:47.03	are all found in structures that have this tubular-reticular pattern. 00:22:59.07	off the surface of cells. 00:23:40.04	on how all of these membranes are organized within cells. 00:24:00.27	in order to track the movement of individual molecules. 00:24:43.01	or undergoing some type of confinement. 00:25:01.23	the lifetime of these photoactivatable fluorescent proteins. 00:25:10.01	of individual VSVG molecules. 00:25:19.24	at the cell surface. 00:25:24.23	you can do a lot of things. 00:25:34.05	into a diffusion coefficient. 00:25:43.02	that originated at that spot. 00:25:46.28	just shows what that diffusion coefficient was. 00:25:59.13	and then there are subsets that are less mobile. 00:26:10.12	across the surface of the cell. 00:26:18.21	which has been mapped. 00:26:26.21	HIV virus that is responsible for AIDS. 00:26:43.24	that forms the coat of this virus. 00:26:52.26	are not moving as rapidly as the VSVG. 00:27:05.12	are clustered in these aggregates. 00:27:24.23	that form the coat of this virus. 00:27:42.10	at the behavior of cytoskeletal components. 00:27:53.08	fluorescently tagged actin molecule. 00:27:59.09	of individual actin molecules. 00:28:36.13	that are undergoing retrograde actin flow. 00:28:47.00	because of the ability to image single molecules. 00:29:04.21	because they involve imaging individual molecules. 00:29:26.10	through this type of tracking. Recent breakthroughs in intracellular fluorescent imaging allow the visualization, tracking, and quantification of molecular interactions within living cells and whole organisms. In part 1 of this talk, Lippincott-Schwartz gives an overview of the development of fluorescent protein markers, explains how these proteins are used to label intracellular compartments, and how fluorescent microscopy is used to follow events within cells. In the second lecture, Lippincott-Schwartz describes how two imaging techniques, photoactivation and photobleaching (FRAP), can be used to switch on or off specific subsets of fluorescent molecules. She and others have used these techniques to ask questions about the kinetics of the movement of specific molecules through the secretory pathway. The third lecture focuses on super-resolution imaging, or Photo Activated Localization Microscopy (PALM), a process that allows the behavior of individual fluorescent molecules to be followed. Patterson, G., Hirschberg, K., Polishchuk, R.S., Gerlich, D., Phair, R.D. and Lippincott-Schwartz, J. (2008) Transport through the Golgi Apparatus by Rapid Partitioning within a Two-Phase Membrane System. Cell 133:1055-1067. Kim, P.K., Hailey, D.W., Mullen, R.T. and Lippincott-Schwartz, J. (2008) Ubiquitin signals autophagic degradation of cytosolic proteins and peroxisomes. PNAS 105:20567-20574. Lippincott-Schwartz J. and Manley, S. (2009) Putting super-resolution fluorescence microscopy to work. Nature Methods 6:21-23. Lippincott-Schwartz, J. and Patterson, G. (2009) Photoactivatable fluorescent proteins for diffraction-limited and super-resolution imaging. Trends Cell Bio. 19:555-564. Patterson, G., Davidson, M., Manley, S. and Lippincott-Schwartz, J. 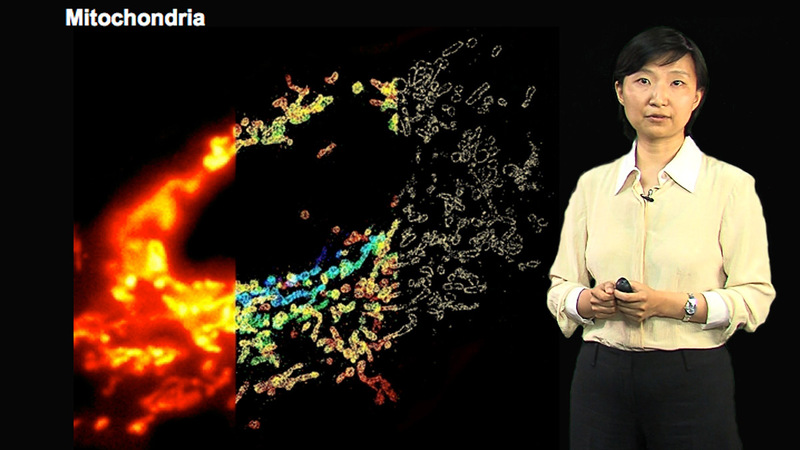 (2010) Superresolution Imaging using Single-Molecule Localization. Annu. Rev. Phys. Chem. 61:345-67.